I'm so proud of Zack. 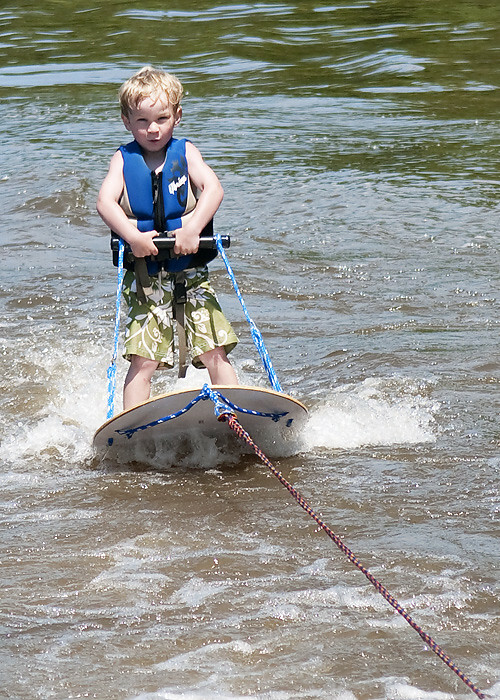 He took his first step towards water skiing today and did awesome. 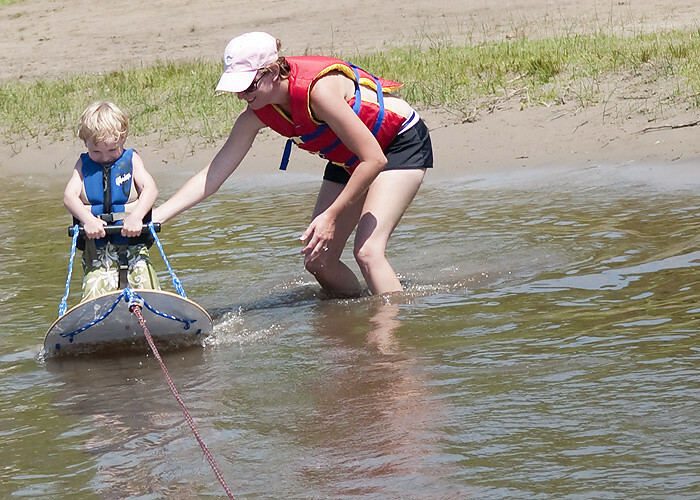 I grew up skiing and have wonderful family memories of our time in the boat and skiing. I can't wait to create those memories with my own kids. Grandpa Ronnie asked him this morning if he wanted to go on the ski board. Zack said he did, but as the time got closer he decided he wasn't ready. He said he isn't allowed to swim in the deep water. I finally convinced him that it would be okay to swim in the deep water and that I'd get in with him. 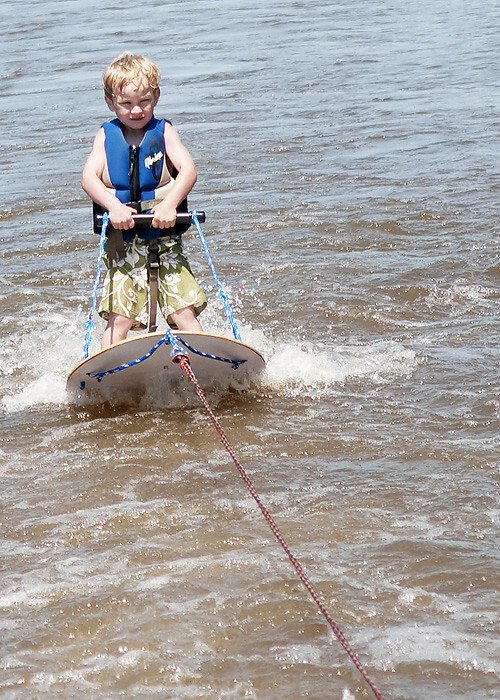 We parked the boat and he practiced riding as daddy ran and pulled him along the shallow water. He decided that grandpa could pull him behind the boat if he agreed to go slow. off he goes. I wore a life jacket just in case I had to swim after him, because the water current was strong. He did great though and he didn't need much help. He fell once while grandpa turned the boat. He started to get scared and then grandpa and daddy talked to him and he relaxed and waited for the boat to pick him up. 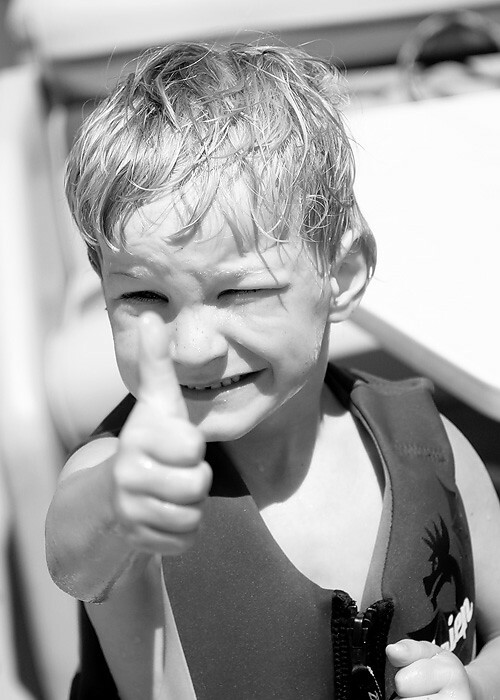 He gave dad a big thumbs up once back in the boat and even wanted to go again. They brought him back to me, he went again, made the turn and dropped off next to me. I'm so proud of you Zackers! !